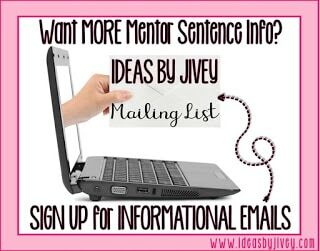 Have you been straddling that proverbial fence about whether or not to start mentor sentences in your classroom? I’ll admit, they aren’t right for everyone. 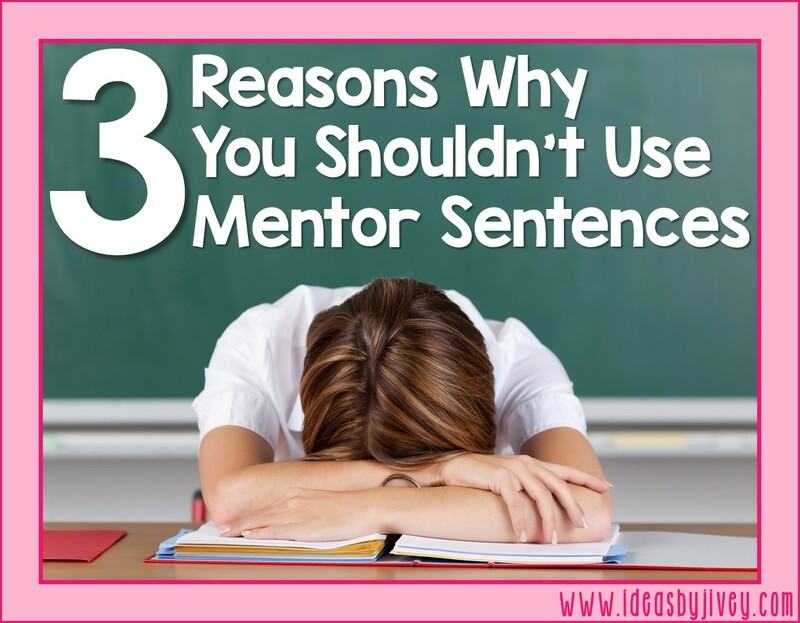 Below, I’ve listed three reasons why mentor sentences might not be a good fit for you. 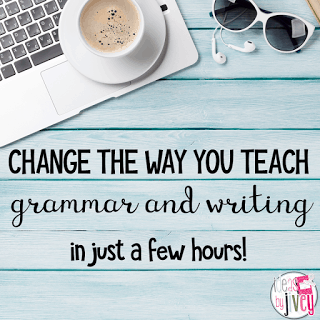 If you prefer your students to sit quietly at their desk and work out of a grammar workbook, then mentor sentences aren’t right for you. Mentor sentences engage students in discussion about grammar, style, and conventions. 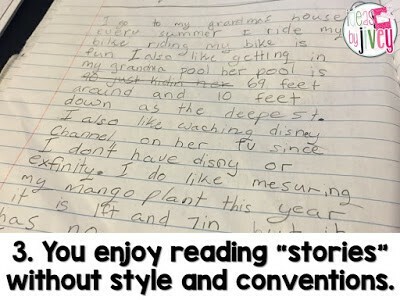 If you were to teach grammar through mentor sentences, students would be getting a spiral review of many concepts every week, instead of just the one skill on the page in the workbook. There would be a lot of great conversation about things they notice. They would get excited about learning about style and conventions. 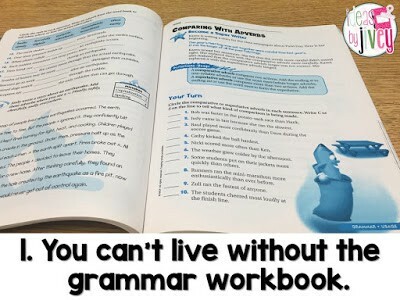 If you like the groans and sighs you get when you tell students to pull out their grammar workbook, then mentor sentences aren’t right for you. If you don’t like reading authentic literature to students, then mentor sentences aren’t right for you. 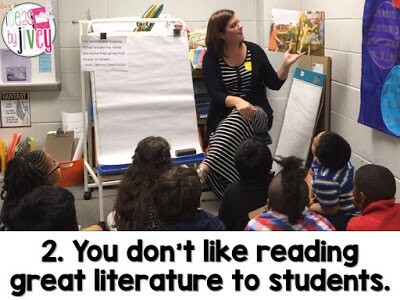 If you detest picture books that engage and excite students, then go ahead and stop reading here because mentor sentences just aren’t right for you. If you love reading story after story of simple and/or run-on sentences with no description, vivid language, capitals, or periods, then mentor sentences aren’t right for you. Mentor sentences will show your students all the RIGHT things they should be doing in their writing. Students will imitate fabulous sentences (from those books in reason #2) and become authors. They will learn how to revise their writing to make it even better. But, if you prefer to read stories that put you to sleep at night, then please do not use mentor sentences in your classroom. After reading these three reasons, if you realized that maybe…actually… you might be a teacher that is JUST RIGHT to implement mentor sentences in your classroom, click here to read all about HOW to implement them in upper grades, and even see a video of them in action in my classroom! First and second grade teachers, click here for the how-to and a video, and K-1, click here for your video and how-to post! Ready to give them a whirl, but don’t want to jump in head-first? Try out some free lessons with your students! Are you all-in, ready to go? Your best bet (and best bargain) is to get the bundle that best fits your needs! Check out the descriptions of the bundles to see complete book lists! It is NEVER too late in the year to start mentor sentences! Sure, you’ll see more growth in your students if you start from week 1, but you will still see the lightbulbs come on over their heads in week 31 if you wanted to start then!